As I begin my review of Commanders I'm reminded of something Clint Worley (producers of Field Commander for the PSP) said when defending himself against a barrage of negative comments that connected his game with the popular Advance Wars series. 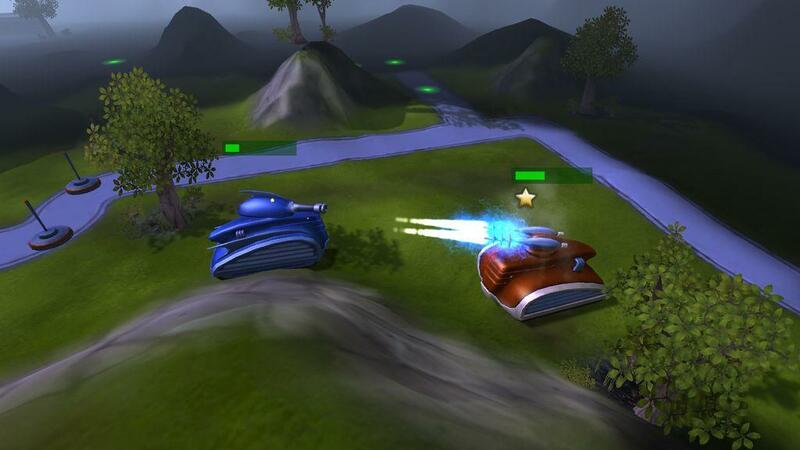 He said: "We are being compared directly to one of the best turn-based strategy titles made on the portable market. Our goal was to offer an experience on the PSP that isn’t available." In a lot of ways Sierra's newest turn-based strategy game, Commanders: Attack of the Genos, is suffering from the same problem as Field Commander. 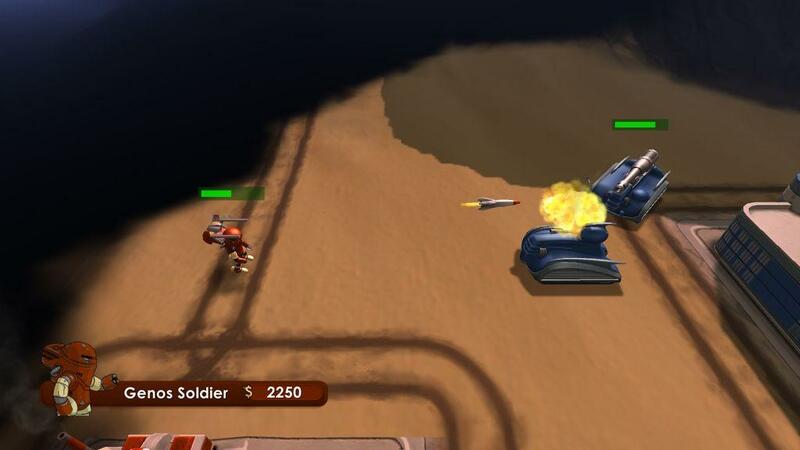 Like Sony's portable game, Commanders is a straight forward rip-off of Advance Wars. Not that Advance Wars owns the rights to this style of action, but given the success of that series it's hard to look at similar games as anything other than a big rip-off of Nintendo's strategy series. But is that really a problem? Up until now the Xbox Live Arcade was without a game like this, so I welcome an Advance Wars rip-off ... assuming it's as good as Nintendo's series (or at least as good as Sony's Field Commander). The good news is that Commanders is indeed a solid strategy game. Unfortunately it doesn't take any major chances or evolve the genre in any significant way, but it does what it sets out to do and gives you a great deal of action for a mere ten dollars. 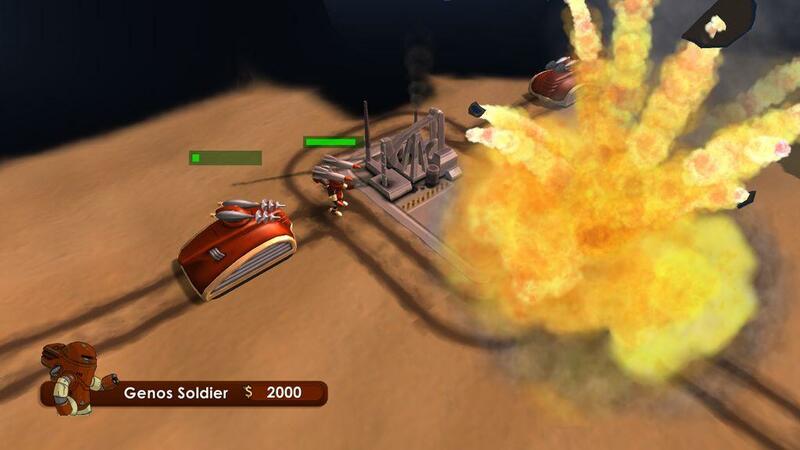 If you're the kind of guy who buys Nintendo's portable systems just for your Advance Wars fix then you probably aren't going to be all that interested in this shameless rip-off, but Commanders is an inexpensive way to check out a genre that hasn't received a lot of play on the Xbox 360. Commanders: Attack of the Genos has a crazy storyline set in a fictional turn of the 20th century world where a genetically enhanced race of humans (the Genos) have founded their own country. Thanks to a cold war between these two groups, the humans and the Genos have built up their militaries and are now ready to steam roll over the other side. This story is told (and concluded) over a 15 level single-player story mode, which will feature all sorts of punny lines and plenty of insight about real world wars. At its core it is a science fiction game, so expect a heavy dose of cautionary warnings about the evils of nuclear power, spending all your money on wars and all the other cliches that tend to be brought up in these kinds of games. What's even more interesting than the story is the look of the game, which is a fusion of low budget science fiction movies from the 1950s and a cool art deco style that looks like it comes from the early 20th century. 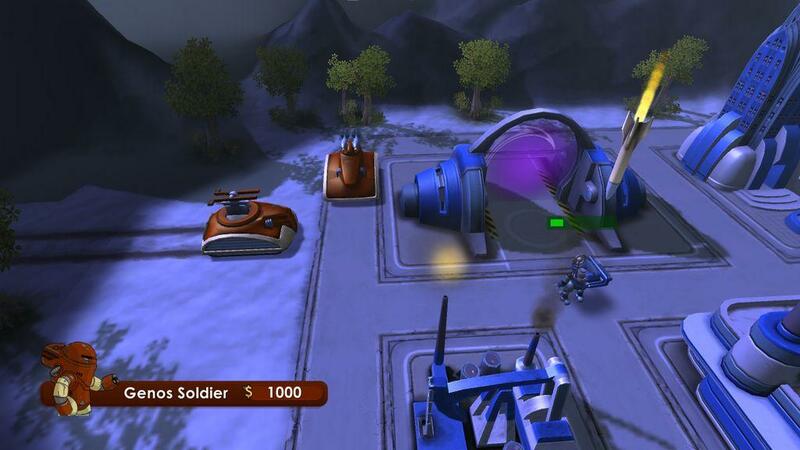 Not only does this cool visual story permeate through your vehicles (which include airplanes, tanks, small soldiers and more), but it also influences the look of the characters and the architecture seen in the game. While it's certainly not everybody's taste, the game's look is one of the very few things that manages to differentiate itself with that Nintendo franchise we've brought up several times already. The action in Commanders is pretty standard stuff; the two (or more) sides will each take turns moving their characters around a large map trying to capture buildings, locate the enemy forces and mop the rest of the map with your opponents. Obviously this is easier said than done. You will quickly discover that each of the different characters/vehicles can only move so far every turn, so you'll have to decide where it's safe to move them and plan out your attacks a few steps in advance. What's more, you're also going to have to deal with the fog of war and other strategy game mainstays. Add all this together and you have a strategy game that is neither too easy nor too hard, a balance that every game in this genre strives for. The vehicles themselves aren't all that spectacular. For the most part you're going to be dealing with a lot of standard vehicles, the kinds of vehicles you've seen in other games of this type. 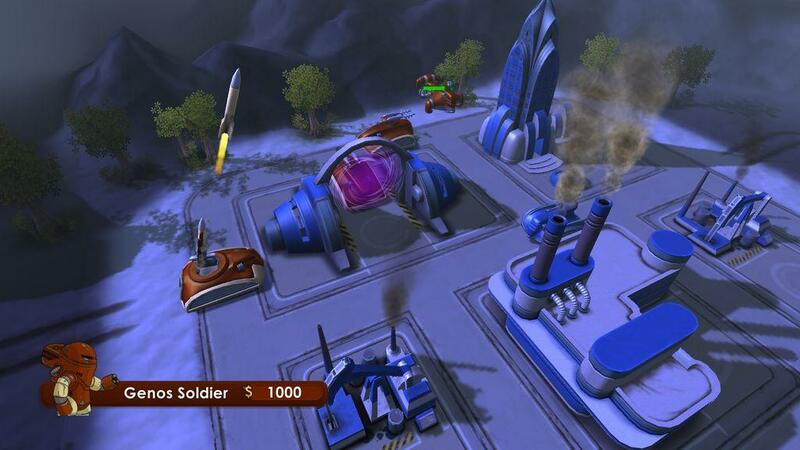 Like all Advance War-style games, Commanders requires you to pay attention to what vehicles are better against your enemy's forces and what they are weak to, if you don't pay close attention to how far your opponent can move and what he's attacking you with then you'll never have a chance of winning this battle. But it won't be just your usual tanks, soldiers and airplanes taking down the enemy forces. 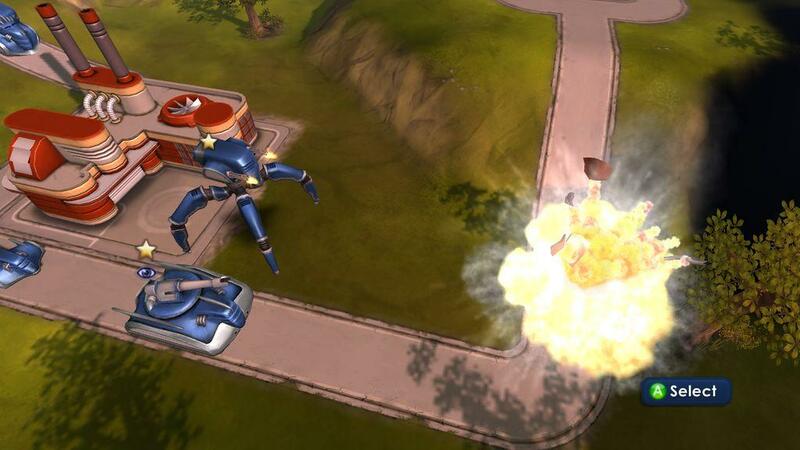 On top of those standard units you will also be in control of a commander unit, an unusual craft (it looks like the machines in War of the Worlds, only with four legs instead of three) that is not only strong, but also allows you to power-up your army and potentially change the momentum of the war. 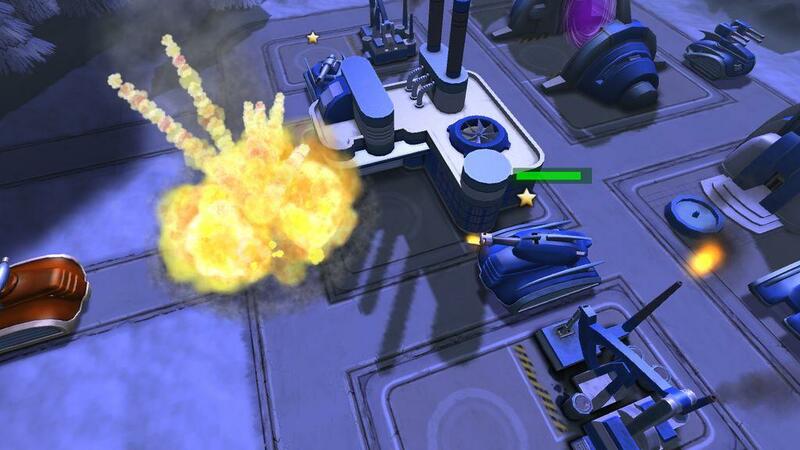 Depending on which commander you choose to take into battle, you will be able to give your soldiers two turns in a row, make them invincible for one turn or send scores of missiles down towards any nearby enemies. These different abilities can mean the difference between winning and losing, so it's vitally important that you keep track of what your commander can do and when they can do it.While the fifteen level story may not sound like much, this mode can easily take you more than ten hours to beat. Obviously this all comes down to how good you are at these kinds of games, but the average person will spend close to an hour trying to beat a number of these lengthy levels. On top of the basic story mode you will also get an advanced story, which adds a lot of challenge to the standard levels. And that's not all, you will also get a series of throw-away levels, levels that are in no way connected to the story mode but are there for you to jump into if you're just looking for a fun battle against the computer. Between these three modes there's definitely more than enough content to warrant the $10 price tag. When you're not spending your time battling the computer, you can jump online to check out the various multiplayer modes. For the most part this Xbox Live section has a barebones look and feel, but if you're looking for a fun multiplayer match (which allows you to play against up to three other people at the same time) this should get the job done. What I was impressed with was how much faster everything moved online, it's as if the developers realized that the people playing online are not going to want these matches to take up the entire afternoon and decided to speed everything up. That was a good decision, as far as I'm concerned. Unfortunately there are a few problems with the game that I wished were ironed out before the game was uploaded to the Xbox Live Marketplace. For one thing the way the camera moves can sometimes be a bit jarring, every time you or the enemy attacks the camera will pan around the level and move in weird ways. When you're battling only one or two things it's not that noticeable, but once you're locked in a war against a half dozen vehicles it'll start to give you the uneasy feeling you get when you're on a boat or about to watch a Jennifer Lopez movie. For the most part this isn't that big of a deal, but it would have been nice if somebody would have noticed this before it went gold. Another thing that bugs me is the leveling up system. 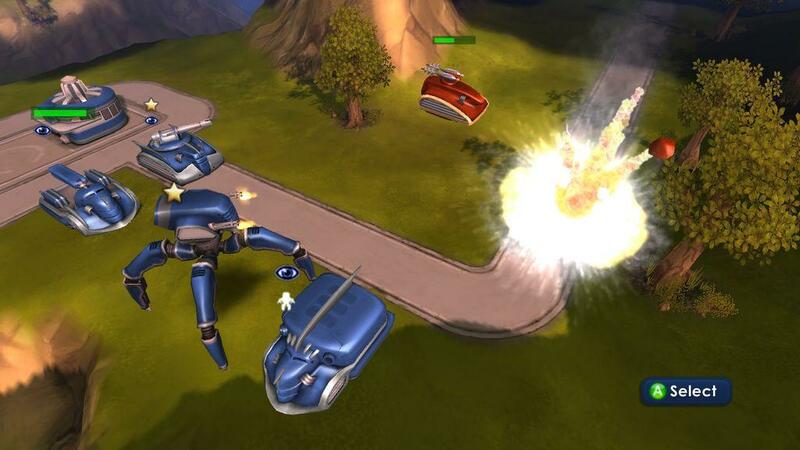 As each of the individual vehicles attacks they will gain experience, until ultimately they level up. When they do this they will regain all of their health and become a little stronger. Don't get me wrong, I love the idea of leveling up the individual vehicles, but it would have been nice if these characters were given a different look, a new weapon or something noteworthy. That alone would have been a great way to separate this game from that other franchise it's so easy to compare it to. The graphics in Commanders are good, but they aren't going to knock your socks off or anything. The different units are generally good looking and, most importantly, they look different at a distance. The backgrounds are a bit lackluster, but this type of game has never been a graphical power house. It's nice to see this style of game in a 3D setting, even if we've already seen a lot of these effects in Field Commander. When it comes right down to it the graphics look good on high def TV set and everything explodes real good. Although you won't notice it at first, the game's low budget sci-fi look manages to pay off in good ways towards the end of the game. All in all this is a solid looking strategy game. What it ultimately comes down to is what kind of gamer you are. If you've never played the Advance Wars games before but have been intrigued by them, then Commanders is worth all ten of those dollars. However, if you're the kind of guy who has never gotten into this type of game, then maybe you should stick with other game. Fans of Advance Wars may not find anything new or original in this game, but Commanders is a solid game that is unlike anything else on the Xbox Live Arcade. Here's hoping that Commanders 2 tries harder to differentiate itself from the other titles in the genre. Unfortunately Commanders: Attack of the Genos doesn't take any major chances or evolve the genre in any significant way, but it does what it sets out to do and gives you a great deal of action for a mere ten dollars.